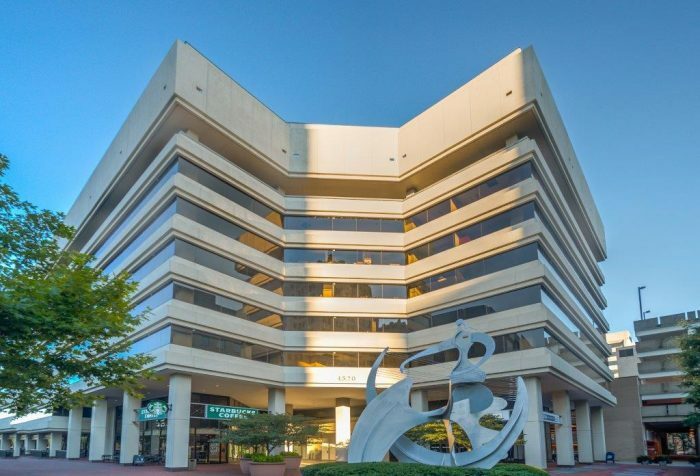 Peel Properties of Montgomery County anticipates considerable savings on monthly operating costs at their Bethesda Office Center by participating in a utility incentive program for building commissioning (MBCx). The MBCx program is part of the larger EmPOWER Maryland’s Energy Savings for Business Program. Rob Casteel, Senior Property Manager of Peel Properties, has worked in property management for 18 years and is well-versed in such programs. Reaping considerable savings over the years, Casteel sees the opportunity as “getting back some of the money from the utilities you’ve already paid” and views it as a win-win for other companies to do likewise. The Bethesda Office Center building is 40 years old with over 170k square feet of office space, with a few retail businesses and is currently undergoing commissioning. Put simply, commissioning (Cx) is the process of verifying that an equipment, system, plant or facility functions as intended. Commissioning helps realize the full potential of efficient equipment and minimizes the reduction in performance over time. Monitoring-Based Commissioning (MBCx) uses sensors and software to provide monitoring and a real-time account of the building systems. According to DOE’s Operations and Maintenance Best Practices Guide, the actual cost savings of commissioning are difficult to estimate, but it tends to have a simple payback of less than 2 years, often less than 0.5 years. These energy-saving endeavors also contribute to Montgomery County’s goals of reducing greenhouse gas emissions 80% by 2027 and eliminating GHG emissions by 2035. Like most building upgrades, the Bethesda Office Center began by updating their lighting to LED lamps. Based on past experience in other properties, Casteel anticipates saving 10-13% on annual electrical costs just from the LED upgrades. The capital investment of just over $200K in LED lighting should generate approximately $45K per year in savings with a payback of less than 5 years for that project. However, the opportunities to save energy extend beyond lighting. Through the MBCx incentive program, Peel Properties has identified opportunities for savings from water heating and building controls. With the capital cost for boiler and water heater upgrades totaling less than $200K, and the estimated annual energy cost savings close to $100K, the payback for this project is less than 2 years. In addition, no-cost projects including commissioning the building controls sequencing is projected to save an additional $68K every year, resulting in a payback of less than one year. Peel Properties uses the Datakwip MBCx Platform for commissioning. Cory Perdue, CEO of Datakwip, explained that the low initial investment was made possible because additional hardware was not required for their platform to function. The projected cost savings do not yet include the utility incentives, which are an additional $0.10/kWh once the savings are approved by the utility, reducing the payback period further. Who’s eligible for the commissioning program? an Energy Management/Building Automation system (EMS/BAS). “Sorry, we don’t buy our electricity from Pepco,” many potential participants say, not realizing that they still are eligible for this program. Sam Wilson, Datakwip’s Director of Business Development, runs into this problem most often. The reality is that most electricity suppliers in the area source their electricity from Pepco. In fact, 361 electricity suppliers for commercial customers are listed under the Pepco service area as of February 2019. A quick way to verify eligibility is to check for the EmPOWER Maryland charge on an electricity bill, listed as “Empower MD Chg,” which indicates that the customer is funding the incentive programs offered by Maryland utilities. Phase II: Continuous monitoring occurs, and the implementation of no or low-cost energy conservation measures (ECMs). Phase III: Additional incentives are issued by Pepco after the MBCx process verifies the successful implementation of ECMs implemented in Phase II. An overarching goal of the MBCx program is to find cost-effective opportunities for building owners. To learn more about the program, contact ICF, the program administrator for Pepco’s Energy Savings for Business Program at pepcobusiness@icf.com. To find out if your building qualifies for the Pepco MBCx program, contact Datakwip at info@datakwip.com. This article was prepared on behalf of Montgomery County by Energy Shrink, an MDOT certified MBE firm focused on high-performance buildings. For more information on the interviews or research, contact the authors Smita Thomas and Jennifer Jang at mail@energy-shrink.com.